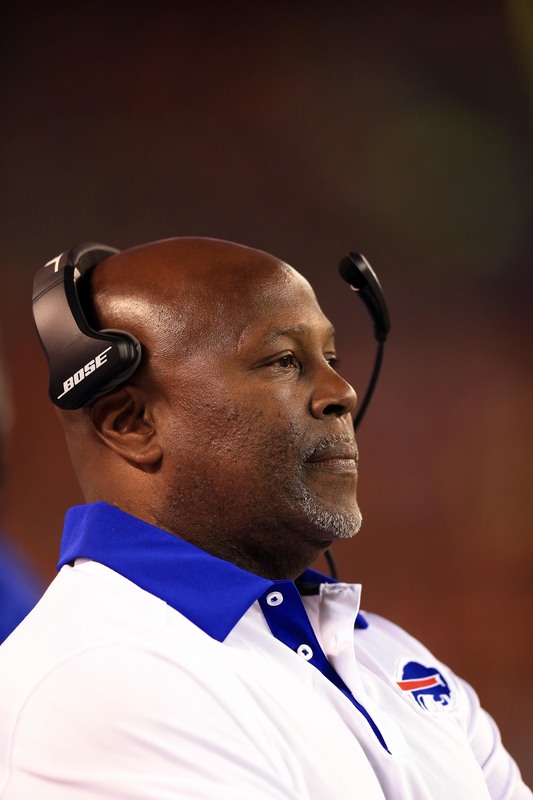 Continuing to cast a wide net in their search for a defensive coordinator, the Redskins will interview Dennis Thurman for the position, per reports from Josh Reed of WIVB and Mike Jones of the Washington Post (Twitter link). The 60-year-old Thurman spent the past four seasons working as ex-head coach Rex Ryan‘s defensive coordinator, first with the Jets and then the Bills. The two had success in New York, but the elite defense they inherited in Buffalo in 2015 declined sharply on their watch. After finishing second in the league in defensive DVOA in 2014, the Bills ranked 24th and 26th the past two years. Washington ended this season 25th, which helped lead to the firing of D-coordinator Joe Barry. While his two-year tenure in Buffalo didn’t go well, Thurman wasn’t the mastermind behind its defense. That distinction belonged to Ryan, who brought in his twin brother, Rob Ryan, to work with him and Thurman in 2016. Rob has also interviewed for the job in Washington. As PFR’s Coordinator Tracker shows, the Redskins have six candidates to replace Barry on their radar. Another of those coaches, Mike Pettine, is also a Rex Ryan disciple. Broncos running backs coach Eric Studesville opted to stay in Denver rather than pursue the Jets‘ offensive coordinator vacancy, and New York’s hope to conduct a wide-ranging search for a new play-caller may have played a factor in Studesville declining to remain in contention, according to Rich Cimini of ESPN.com, who adds that Studesville didn’t want to “lose a bird in the hand.” The Jets have “at least” three other candidates on their radar at the moment, per Cimini, and one name of interest could be Chiefs co-offensive coordinator Matt Nagy (though it’s not clear if the ESPN scribe is reporting or speculating). Kansas City would be able to block any interview request from New York, which could present a problem as Gang Green continues its hunt. The Jets also expressed interest in new Raiders OC Todd Downing before he was promoted from QBs coach, per Cimini. The Bills announced that they’ve hired Mike Waufle to serve as the club’s new defensive line coach. Under Waufle’s direction, the 2016 Rams defensive line ranked first against the run, according to Football Outsiders‘ adjusted line yards metric. Additionally, the Bills have released former DC Dennis Thurman and OL coach Aaron Kromer — both of whom were hired by ex-head coach Rex Ryan — from their respective contracts, per Adam Caplan of ESPN.com (Twitter links). Former Michigan running backs coach Tyrone Wheatley is joining the Jaguars staff, likely in the same capacity, tweets Alex Marvez of SiriusXM NFL Radio. Jacksonville has already announced that several members of their offensive coaching staff — including play-caller Nathaniel Hackett — will remain in place under new head coach Doug Marrone, but the club has been silent of the fate of current RBs coach Kelly Skipper. Wheatley, who was under consideration for Western Michigan’s head coaching job, last coached in the NFL from 2013-14 with the Bills. The Titans are not expected to hire any of the wide receivers coaches who have recently been fired around the league, according to Paul Kuharsky of ESPN.com. Tennessee, seeking to replace Bob Bratkowski, has already offered the WR job to Denver’s Tyke Tolbert, who declined the offer in order to remain with the Broncos. As the Bills prepare for the offseason, GM Doug Whaley cautioned today in an appearance on WGR 550 that re-signing potential free agents won’t be easy, since the team is already over the cap for 2016 (Twitter link via Vic Carucci of The Buffalo News). VP Jim Overdorf, who handles the cap and player contracts, wlil have to “work his magic” this spring, Whaley added (Twitter link via Mike Rodak of ESPN.com). The NFL has yet to set its cap number for 2016, and the Bills will certainly lower the number currently on their books by releasing or trading players in the coming weeks and months, but according to Over the Cap’s data, based on a $150MM projected cap for ’16, Buffalo is indeed more than $3MM over the cap, with the second-most cap commitments in the NFL. So the team will have some work ahead of it. One player who is expected to be cut, and whose release would create some breathing room under the cap, is defensive end Mario Williams. As Tyler Dunne of The Buffalo News notes (via Twitter), a Rex Ryan quote today about his defense being built for “all 11” players rather than just for one is another sign that Williams is likely on his way out. Ryan clarified today that, after this month’s staff changes, Dennis Thurman will continue to be the team’s defensive coordinator, while the head coach will still call defensive plays on game day (Twitter links via Joe Buscaglia of WKBW). Following up on a comment he made earlier this week, Ryan said his brother Rob Ryan turned down an NFL defensive coordinator job and a college DC job to join the Bills’ staff (Twitter link via Rodak). The Bills will “seriously look into” drafting a wide receiver this spring, Whaley said today, though he did acknowledge that’s probably true of every position (Twitter link via Rodak). Whaley also said that the Bills would love to have Percy Harvin back in 2016 (Twitter link via WGR 550). Harvin’s contract with the team voids during the offseason, so he’ll become a free agent. Two somewhat conflicting reports on the Bills surfaced on Tuesday from The Buffalo News, with Vic Carucci suggesting owner Terry Pegula had issued a playoffs-or-else ultimatum to head coach Rex Ryan and general manager Doug Whaley when he decided to bring them back for the 2016 season. However, Tyler Dunne suggested no such ultimatum had been issued, reporting that the Bills were actually nearing a contract extension for Whaley. Whaley’s extension could get finalized this weekend, with the GM and the rest of the Bills’ brass planning to meet to recap the 2015 season and make plans for 2016, writes Dunne. Within the same piece, Dunne notes that Pegula sent a text message calling the alleged ultimatum “BS,” and those close to the team’s owner indicate that it’s not in his nature to do something like that. However, Dunne also points out that there have been multiple instances in recent years where Pegula extended a coach or GM for his Buffalo Sabres, then fired him less than a year later. In other words, with or without an extension or an ultimatum, Whaley and Ryan will likely have to show improvement next year to keep their jobs. It sounds like Carucci is sticking to his report on Pegula’s ultimatum, suggesting that Pegula and other sources who are denying it are simply unhappy that it leaked in the first place. Within the same piece, Carucci also discusses the future of Bills defensive coordinator Dennis Thurman. Tyrod Taylor will enter the 2016 season as the starting quarterback for the Bills, but who will back him up? Mike Rodak of ESPN.com examines the team’s options. Earlier today, we passed along word of the Bills signing former Packers wide receiver Jarrett Boykin to a reserve/futures contract. 1:20pm: Dunne has published his full story on the Whaley extension talks, citing a source who says Pegula did not give a one-year ultimatum to the GM and head coach. 12:51pm: General manager Doug Whaley and the Bills are working on a new contract that would lock up Whaley beyond 2016, according to Tyler Dunne of The Buffalo News (Twitter link). Jeremy White of WGR and Adam Benigni of WGRZ (Twitter links) each reported today that the two sides were working out the final details of the new deal, though Dunne says it hasn’t yet been presented to ownership. On the heels of a morning report from Dunne’s Buffalo News colleague Vic Carucci, who suggested that owner Terry Pegula was giving Whaley and Rex Ryan one more year to make the playoffs and secure their jobs, news of a possible extension for Whaley comes as a surprise — particularly since Benigni indicates Whaley’s new deal would coincide with Ryan’s, meaning it would run through 2019. It’s possible that Carucci’s report was inaccurate, though it’s hard to believe the Bills would stand pat again if the team has a sub-.500 season in 2016. It’s also possible that Pegula would consider making changes a year from now even after extending Whaley. For someone who spent $1.4 billion to buy the franchise in 2014, eating a few extra million dollars to replace a GM is probably viable. Still, if that’s the case, extending Whaley seems somewhat unnecessary, unless the team simply doesn’t want its GM entering the year as a lame duck. Even if Pegula wants to express confidence and optimism heading into 2016, there’s likely a less expensive way to do it. Speaking to reporters yesterday, Ryan was unwilling to say definitively that defensive coordinator Dennis Thurman would return in 2016, says Mike Rodak of ESPN.com. Veteran defensive tackle Kyle Williams has told the Bills he wants to continue playing next year, so as his long as his medical information checks out, he’ll likely be back, tweets Joe Buscaglia of WKBW. Whaley downplayed the importance of signings outside free agents this offseason, joking that reporters covering the team can probably go on vacation during the first week of free agency. However, he referred to re-signing tackle Cordy Glenn and guard Richie Incognito as a “major point of emphasis” (Twitter links via Dunne and Buscaglia). 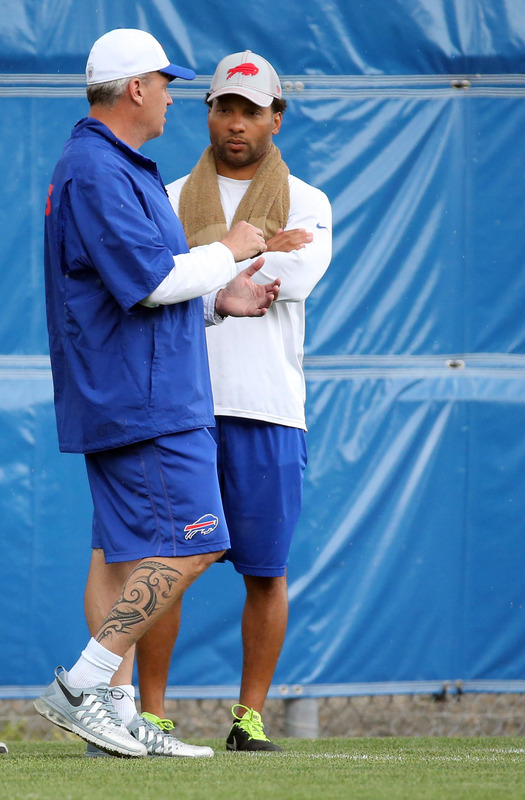 No Ultimatum For Rex Ryan, Doug Whaley? 1:19pm: Tyler Dunne of The Buffalo News has contradicted his colleague’s report, citing a source who says Pegula did not issue a one-year ultimatum to Ryan and Whaley. 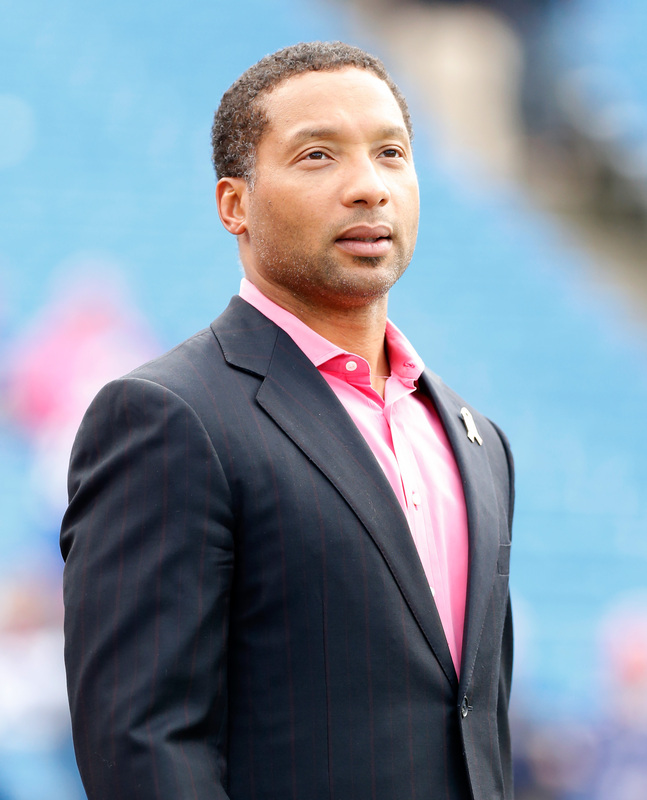 The Bills and Whaley are reportedly working on an extension. As I noted below, even if the Bills eventually do consider making changes a year from now, it would be unusual for such an ultimatum to be issued and reported at this point. 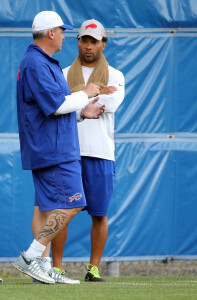 10:08am: Bills owner Terry Pegula announced last week that head coach Rex Ryan and general manager Doug Whaley would be returning to the team for the 2016 season. However, the duo shouldn’t get too comfortable in Buffalo just yet. According to Vic Carucci of The Buffalo News, Pegula has issued an ultimatum of sorts to Ryan and Whaley: If they can’t make the necessary improvements to the Bills to get the club into the postseason, they’ll be let go after the 2016 season. The fact that Ryan and Whaley will enter the 2016 season in playoffs-or-bust mode perhaps doesn’t come as a real surprise, especially since Whaley has just one year left on his contract. The club had expected to make it into the postseason this year, and neither the head coach nor the GM was considered safe until Pegula’s announcement last week, so it makes sense that the Bills would explore other options if the team underachieves again in 2016. Still, it’s rare that this sort of ultimatum is reported so early, and so definitively. While Ryan, who has four years remaining on the contract he signed last January with the Bills, will get at least one more season in Buffalo, the same can’t be said for all of his assistant coaches. A source tells Carucci that at least two changes will be made to Ryan’s coaching staff, though there are “strong indications” that defensive coordinator Dennis Thurman is safe. Continuing a trend that the Miami Herald’s Armando Salguero’s observed throughout this decade, a disconnect between the Dolphins‘ front office and coaching staff’s formed based on the usage of the team’s draft picks. This season, Miami’s front office wanted first-round pick DeVante Parker to play more often than he did prior to becoming a regular down the stretch, Salguero reports. Previous philosophical differences involved 2013 first-rounder Dion Jordan and 2013 fourth-round selection Dion Sims, whom then-GM Jeff Ireland wanted Joe Philbin to play more than he was, with a similar disconnect occurring two years prior in the form of Tony Sparano and Ireland disagreeing on which players the team would cut prior to the start of the 2011 season. Such disharmony has been new to the Dolphins, with previous coaches Don Shula, Jimmy Johnson or Nick Saban having full decision-making autonomy. Salguero adds that new personnel man Mike Tannenbaum did not escalate this push for Parker to see the field sooner as Ireland did with Sparano and Philbin regarding former prospects. Let’s look at some more AFC items as Week 14 shifts into its night-game sector. Kelechi Osemele ventured back to tackle Sunday in place of the underwhelming James Hurst and wants to stay there, Jon Meoli of the Baltimore Sun reports. Osemele, who began his career at the Ravens‘ right tackle before becoming one of the NFL’s premier left guards over the past two-plus seasons, moved to left tackle in a Ravens effort to increase their line’s overall talent level. This is significant because the former second-round pick will be one of the top offensive linemen available in free agency if he does not reach an accord with the Ravens before the new league year begins. The former Iowa State cog started 38 games at left tackle for the Cyclones. Osemele expressed desire to be Baltimore’s left tackle of the future. “I sure hope so,” Osemele told media about a desire to stay on the edge. “I would definitely love to be the guy for the Ravens into the future, as long as I can keep performing at a high level.” Baltimore placed high-priced, but injury-prone left tackle Eugene Monroe on IR on Saturday. Signed to a five-year, $37.5MM contract in 2014, Monroe has $6.6MM worth of dead money left on his deal. If Andy Dalton misses the rest of the season as he’s expected to, it will cost him a chance at a $5MM escalator in his contract, according to CBS Sports’ Joel Corry (on Twitter). The Bengals‘ starting quarterback needs to play at least 80% of the snaps, which he’s done for four straight seasons, to earn this bonus. Conversely, Michael Crabtree‘s enjoying a better week financially. The Raiders‘ newly extended wideout earned an additional $400K by catching four passes Sunday, ESPN.com’s Field Yates reports (via Twitter), giving him 70 for the season. An unpenalized threat resided at the root of the Bengals-Steelers pregame fight, Mike Florio of Pro Football Talk reports. After Vontaze Burfict‘s tackle of Le’Veon Bell resulted in the star Pittsburgh runner’s season-ending knee injury in the teams’ previous meeting, Steelers linebacker Vince Williams sent out a tweet that Burfict and other Bengals regarded as a death threat, Florio writes. Burfict confronted Williams, who previously deleted the tweet and apologized, before the game and took action because the NFL didn’t, Andrew Whitworth told PFT. Florio writes that Williams’ social media threat violates the NFL’s Personal Conduct Policy. The 15 penalties whistled against the Bills in their loss to the Eagles riled up the coaching staff to the point that one of them can be heard screaming at the officials while walking to the locker room that the 15 infractions — for 101 yards — were a “disgrace to the NFL,” Joe Buscaglia of WKBW reports (on Twitter). Josh Alper of Pro Football Talk points out Bills first-year defensive coordinator Dennis Thurman as the likely culprit. New Browns offensive coordinator John DeFilippo did not study quarterback Johnny Manziel before accepting the position in Cleveland, writes Mary Kay Cabot of Cleveland.com. The Browns are pursuing former journeyman quarterback Steve Walsh to be their new quarterbacks coach, writes Alex Marvez of Fox Sports 1. Walsh has been coaching high school football for the past six years, but has turned down a number of opportunities to coach at a higher level. The Broncos are still looking for a defensive coordinator, and one possibility could be former Cowboys head coach Wade Phillips, writes Gil Brandt of NFL.com (via Twitter). Phillips served as the Texans defensive coordinator for three years under new Broncos head coach Gary Kubiak, and the two could reunite in Denver. The Broncos have not hired a defensive coordinator, but they have hired Bill Kollar as their defensive line coach, according to USA Today. Kollar spent the last six years coaching the defensive line for the Texans. The Jets have a pressing need a cornerback, and new GM Mike Maccagnan will have a number of options to improve the position, writes Manish Mehta of the New York Daily News. He writes they could go after Antonio Cromartie or Byron Maxwell in free agency, but an intriguing prospect in the draft could be Quinten Rollins of the University of Miami (Ohio). THURSDAY, 12:06pm: The Bills have officially announced the hiring of Thurman as their defensive coordinator, according to a team release. MONDAY, 10:35pm: We learned earlier tonight that despite reports that incoming Bills head coach Rex Ryan would offer him a spot on his coaching staff, Jim Schwartz will not return as Buffalo’s defensive coordinator. Instead, as has been widely speculated, Ryan will bring along his DC from his time with the Jets, Dennis Thurman, to take over the Bills defense, according to Kimberly Jones of the NFL Network (Twitter link). It’s perhaps a bit surprising that Schwartz is being allowed to leave Buffalo, as he guided a defense that finished second in DVOA in 2014. However, if Ryan decided he wanted to bring in his own coordinator, there wasn’t much of an option for Schwartz, who would surely be disinterested in moving to a position coach role. Instead, the Bills will return to running Ryan’s defensive schemes — because Mike Pettine, a Ryan disciple, was the coordinator in 2013, the club should be familiar with the playbook. The team will be returning to a more traditional 3-4 look, though edge defender Jerry Hughes did act as a stand-up rusher quite often in 2014, and many have opined that the changes won’t be as monumental as perceived. Thurman, 58, has worked with Ryan since 2002, when both were employed by the Ravens. Ryan brought Thurman to New York in 2008, where he served as the secondary coach until transitioning to DC in 2013 following Pettine’s departure. A former cornerback, Thurman played in the NFL for nine years, mostly with the Cowboys. While he’ll be listed as the coordinator, Ryan will call the defensive plays.